Welcome to Critic's Notebook, a quick and off-the-cuff car review consisting of impressions, jottings, and marginalia regarding whatever The Drive writers happen to be driving. Today's edition: the 2018 Audi S4. 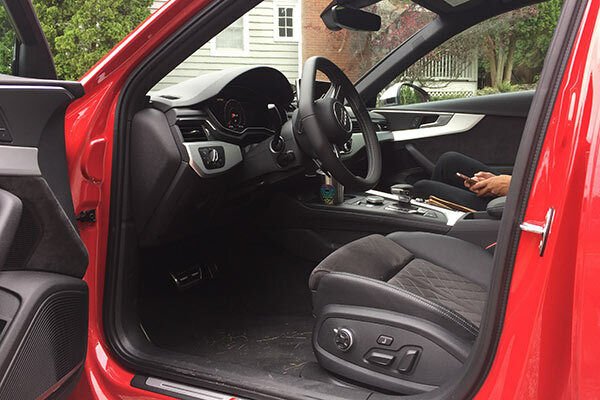 When searching for the perfect blend between performance, practicality, and comfort in a car, people can be quickly bogged down by the number of compromises they has to make. Occasionally, a consumer will stumble across a vehicle that does a little bit of everything well, without requiring any big sacrifices. Take the 2018 Audi S4: This beautiful sedan can hit 60 miles per hour in just 4.4 seconds, but still fits four adults (well, technically five, but you don't wanna be that fifth person). To be honest, the only true point of contention with the car is the $50,900 sticker price—and that's before options. The price. The Audi A4 starts at $36,000, but the 2018 Audi S4 I drove made it all the way up to $59,550 with options. However, if I didn't have a window sticker in front of me when the car arrived...the first thing I'd have noticed is the front fascia and quad exhaust, which is slightly more aggressive than the A4. Everything more than 18 inches off the ground is essentially identical to the significantly cheaper A4, aside from a small rear lip spoiler. Demolishing back roads. Is it grippy like a McLaren? No, but the sport adaptive damping suspension and dynamic steering keep you firmly planted, and give a true "point and shoot" feel to the driving experience. Whether you're taking a corner at 25 or 65 mph, the 2018 Audi S4 serves up minimal body roll and almost no understeer. When you get out of that corner, the S4 quickly centers itself and begs you to smash the gas again. Looking aggressive. Personally, I like that about the car, since I am a fan of a sleepers—but if you are looking for a badass midlife crisis car, this might not be the ticket. Don't get me wrong, I truly enjoyed every moment in this car and feel it is an example of German engineering at its finest, but I wouldn't buy this car. At $50,900 before any options, I just can't justify spending that much money to shave around a second off my 0-60 mph time. Yes, you get a little more than just speed out of the S4, but do you really get $14,900 more? The 2018 Audi S4 may be the best S4 yet. The redesigned 3.0-liter turbocharged V-6 got a boost in power for the latest version of the car, making 354 horsepower and 369 lb-ft of torque—21 horses and 44 lb-ft or torque over the outgoing model. With that boost in power came plenty of performance chops. At no point did I find myself wishing for more power, nor did I fall victim to turbo lag. 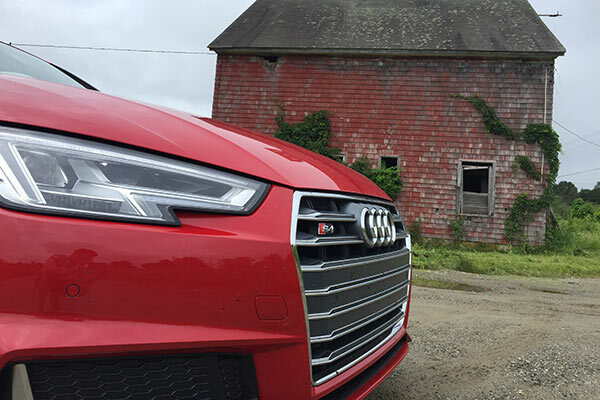 The 2018 Audi S4 was response, agile, and generally well-behaved during the roughly 500 miles of testing I put it through. When the car was dropped into into dynamic mode, the engine speed popped up approximately 400 rpm at idle, the exhaust began emitting more burbles, and the steering tightened up nicely, reminding me the S4 was here to work. If you can afford the car and are not concerned about the massive price gap between A4 and S4, then this is the perfect sedan. Will you be able to take a big family on a long road trip in this vehicle? 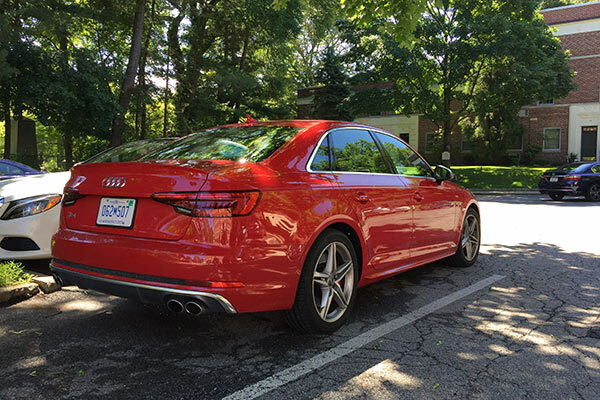 Probably not, but for drivers with fewer folks in the house or people who want a commuter car that doubles as a sleeper, the 2018 Audi S4 is just about perfect.